Dr. Kyrah Daniels moderates a discussion in the Edward H. Linde Gallery of the Museum of Fine Arts Boston with guests Dr. Karilyn Crockett, Pedro Cruz, and Stephen Hamilton. The four discuss how connecting to traditions can shape our relationships with the past. The talk in inspired by the themes found in “Frida Kahlo and Arte Popular", on view February 27–June 16, 2019. Karilyn holds a PhD from the American Studies program at Yale University, a Master of Science in Geography from the London School of Economics, and a Master of Arts and Religion from Yale Divinity School. She currently serves as the Director of Economic Policy & Research and Director of Small Business Development for the City of Boston and is a research affiliate in the Department of Urban Studies & Planning at MIT. Karilyn’s career mission is to work at the nexus of education, economic development and urban revitalization. Pedro Cruz is the Youth Arts Program Coordinator for IBA’s Youth Development Team. Stephen Hamilton is an artist and arts educator living and working in Boston Massachusetts. Stephen’s work focuses on the aesthetics, philosophies and key symbols inherent throughout Africa and the Diaspora. He strives to create a dialogue between contemporary Black cultures and the ancient African world. Through visual comparison of shared philosophies and aesthetics ubiquitous amongst Black peoples he seeks to describe a complex and varied Black aesthetic. These visual and philosophical connections and cultural analyses form his visual language. His pieces depict African thought and culture as equal to, yet unique from its western analogue. This work stands in stark contrast to the pervasive negative associations, which have become synonymous with Black culture. Kyrah Malika Daniels is Assistant Professor of Art History and African & African Diaspora Studies, with a courtesy appointment in Theology. 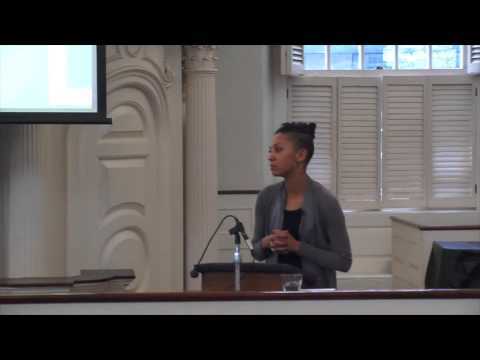 Her research interests and course topics include Africana religions, sacred arts and material culture, race, religion and visual culture, and ritual healing traditions in the Black Atlantic.